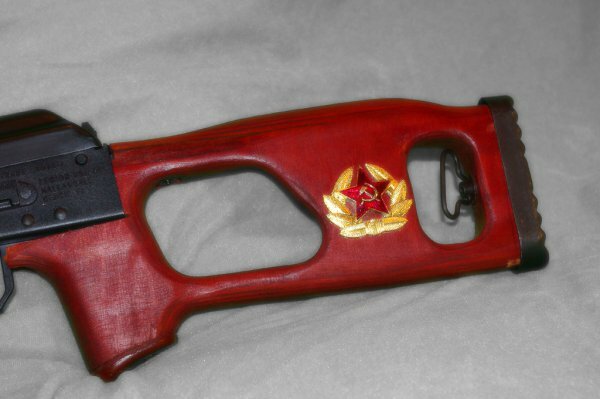 K-Var announces the arrival of Vepr 12 Shotguns! $450 folding mechanism, did I read that right? TigerMoses replied to NM0's topic in General Discussion - Any topic is welcome here!!! I don't think anybody said this yet, but I read an article that seemed to be legit. It seems so that they could make rules concerning them, the FAA brought many of the drones into their 'aircraft' definition. So shooting at a drone is just as illegal as shooting at a 747, if I understood this right. Also, what the heck are you people doing in your back yards that you are so worried. If I aim a camera at 1/2 of Central Park with a wide angel lens (standing on my feet) and you are in MY photo, doesn't mean I'm taking a photo of you. So if I had a drone with a camera and flew it up over my house to take a picture, why do you have to think just because you can see it its looking at you? Your neighbor in a two story house can see in your back yard. If he mounted a camera on his roof, do you have this urgent urge to shoot it? TigerMoses replied to David Mark's topic in General Discussion - Any topic is welcome here!!! Under $500 night vision optics - you got one? opinions? So thinking about hog hunting, does anyone have any experience good/bad with any of the under $500 options available these days? Are they sturdy? Keep zero? TigerMoses replied to Capt Nemo's topic in General Discussion - Any topic is welcome here!!! Article from May 2012. Since then, Texas has recognized not EVERYONE going to college and is attempting to restructure high school and have some 'skills' taught, not just academics. I guessing the problem with be finding the teachers. 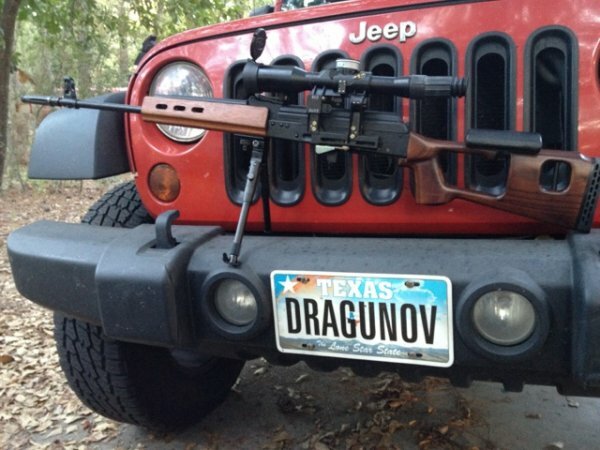 I took my long barrels Saiga's and put wood on them, and am very please with results and appearance. TigerMoses replied to forsaken352's topic in General Discussion - Any topic is welcome here!!! The front site/flash hider combo seems so rare and last one on Gunbroker sold for $495. I've have one on backorder with Rusmilitary.com since April 2013 So I saw on a airsoft site, the front site section. Though its not steel, being on the barrel I'm thinking it can still handle the heat. For the flash hider, use the Tabuk style one from Nodakspud. Would require threading the barrel. Not going to shoot iron site, scope only(which I already have). So this could complete the look. I even have a 4inch 1x14 barrel extension, threaded approriately on both ends, so if OD was right and the 'blacks' match, could give it proper length appearance of SVD. The sight post could even be mounted to the extension. If I thread barrel, I can try the extension with the tabuk (have one on another gun) to see if accuracy or performance are affected before I mount sight. So my question is (beside telling me anything I didn't think correct about above), if I thread barrel, official flashider/site combo arrives, original barrel length is still same and when I slide it over, the threads will just be covered and there isn't any negative side effect?